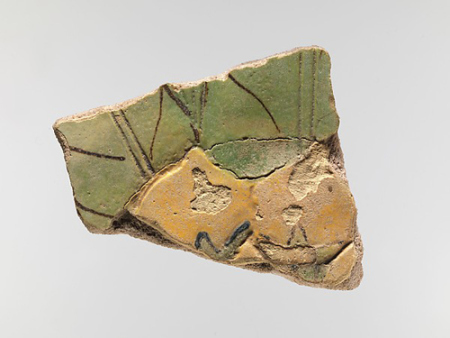 The small fragile faience ornaments that were collected during the first years the Met excavated at Malqata have always been favorites of mine.�� These colorful images of floral elements were probably used to decorate different things, including broad collars. This season one of the images for these pendants, fruit of the mandrake (Mandragora sp. ), has appeared on several objects. The mandrake is a short plant whose leaves occur in a basal rosette on the ground. Found traditionally around the northern and eastern part of the Mediterranean, it appeared in Egypt during the New Kingdom, grown in gardens of the elite members of Egyptian society. A perennial herbaceous plant, it is best known for its long thick branched root that in many folk cultures were assigned human characteristics. The flowers are greenish white, pale blue, or even violet and its short-stemmed fruit, a berry, is a deep yellow to orange with a calyx in dark green. The fruit was translated into Egyptian imagery as bright yellow fruit whose calyx in paintings is green and in faience, a deep blue. The leaves and root contain deliriant hallucinogenic tropane alkaloids, making the plant potentially poisonous. Depending on the amount ingested, which varies from plant to plant, the parts used, and preparation technique, emetic, purgative, and narcotic side effects are likely; a mandrake can cause a toxic overdose. Based on what records survive from antiquity, it appears that the plant was used medicinally. Greek literature suggests possible applications for treating gout, wounds, and sleeplessness; for the Sumerians, it was a remedy for pain. The mandrake, however, becomes a popular image in Egyptian art because the plant and its berries are associated with the concepts of love and desire, possibly to be achieved or aided by a potion made from the plant. As suggested by Kate Bosse-Griffiths, the mandrake had connotations for male potency and the strengthening of sexual power, especially in the mid to late Dynasty 18. In love poems and in contexts where rejuvenation is the theme, such as in the festival city of Amenhotep III, we find many images and representations of this beautiful but toxic little fruit. Kate Bosse-Griffiths, �The Fruit of the Mandrake in Egypt and Israel,� in Amarna Studies and Other Selected Papers (ed. by J. Gwyn Griffiths), pp. 82-96, Orbis Biblicus et Orientalis 182 (Fribourg, Switzerland and G�ttingen, 2001). In the winter of 1914/15 the Museum�s excavation season was rather short-staffed due to the outbreak of the First World War in Europe. That fall, the first arrivals were Norman De Garis Davies, director of the Graphic Section of the Egyptian Expedition (Met Around the World-The Egyptian Expedition Graphic Section) and a young artist named Hugh Hopgood, both of whom were British. Wanting to employ as many of the Museum�s workmen as possible, Davies oversaw excavations in a number of tombs, including Theban Tomb 52, which belonged to a scribe and �astronomer of Amun� named Nakht who probably served in the reign of Thutmose IV and may well have lived into the reign of his son, Amenhotep III (Facsimile painting from the tomb of Nakht). 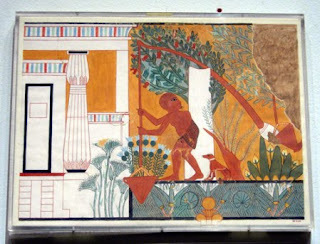 Davies�s work in the tomb, including the watercolor facsimilies he painted of the decoration (now on display in the SE corner of gallery 135 at the Museum) were published as the first volume of the Robb de Peyster Tytus Memorial Series, which had been funded by the mother of one of Malqata�s early excavators (imalqata-Special Guests). 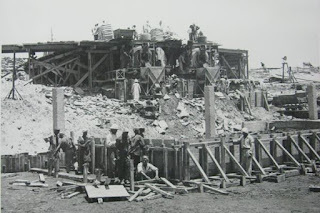 Part-way through the 14/15 season, another British member of the expedition, Hugh G. Evelyn-White, arrived and began excavating at Malqata in an area north of the King�s Palace on the other side of a cultivated field. Here, remains of another mud brick structure, built on a perpendicular axis to the King�s Palace, were visible on the surface. In the course of the season, a large structure with several outbuildings emerged. 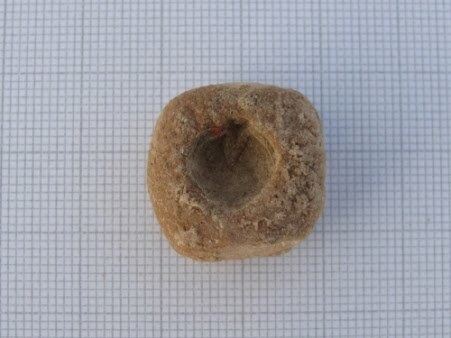 Now called the North Palace, it was dubbed White�s Palace in the excavation report. The North Palace is slightly lower in elevation than the King�s Palace. In 1914/15, it was between two cultivated fields. Consequently, it lies very close to the water table and the area is now covered with a healthy, and tenacious stand of halfa grass. At some future date, we hope to work in this area, but for the moment, we try to keep the halfa grass in check. Yesterday, Joel�s last day at the site, we went for a walk along the ancient roadway that borders Malqata to the west. 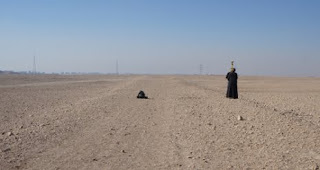 Behind the Amun Temple, the roadway is raised and easy to see, but in other areas, where the elevation of the desert is higher, it becomes invisible. We decided to follow it south as far as we could, and we found this easier than we had expected. 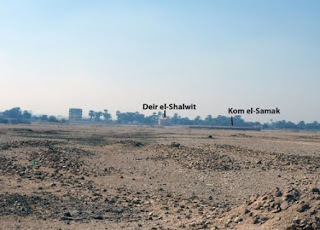 For example, the roadway forms a ridge that almost blocks the wadi to the south of the Coptic monastery, Deir el-Moharab. A bit farther south, there is another raised section that continues for about 100 yards. 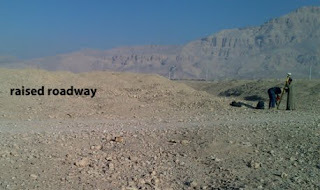 And each time we encountered a wadi, the remnants of the roadway were visible. We finally lost all trace of the roadway just south of the power lines at the southwest corner of the Birket, but we could see its final destination about half a mile away. 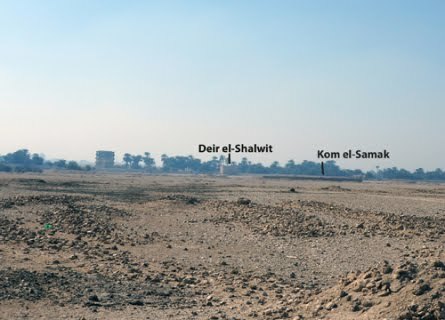 This season, I had the pleasure of working with the Joint Expedition to Malqata (JEM) team for twelve days to analyze the site�s archaeological mortars and plasters. As a freelance wall painting conservator and conservation scientist I am performing a research- and PhD project investigating mortars and plasters in Ancient Egyptian wall painting and architecture from the pre-dynastic and pharaonic periods, and into the Greco-Roman period. Malqata, as one of the two preserved ancient Egyptian royal cities, is of course a very interesting place to examine which different mortar and plaster materials have been used for the construction of architecture and the decoration of architectural surfaces. As the analysis had to be carried out on site, I set up my mobile �field laboratory,� with portable photographic and analytical equipment, in the old mud brick guard house next to the King�s Palace. Though it got a bit crowded at times, I enjoyed sharing the tiny room with hundreds of clay plaster fragments with elaborate bright colored wall painting decoration, uncovered by Peter Lacovara during this season (iMalqata Blog | January 19, 2016). The little mud brick guard house turned into a temporary little �field lab� and wall painting shelter. For the comparative analysis of plaster materials from selected archaeological sites in Egypt I am implementing conservation- and natural scientific methods. Besides the analysis of the chemical-mineralogical composition of the original plasters I also investigate and document technological features that reveal the applied plaster and wall painting technology. At Malqata, I collected small mortar and plaster fragments from several areas of the site in 2015 and 2016. These include the King�s Palace, houses of the North Village, and the Amun Temple. Here is a short glimpse of what I found so far. In the recent analysis, eight major mortar and plaster types, each being processed for individual technological functions, could be differentiated. For example, dark brown clay mortars, with varying contents of plant fibers as organic fillers and reinforcement, were used as basic floor, wall, and ceiling plasters. In some buildings, however, millimeter-thin yellowish- to brownish-white �plaster washes,� containing a high content of calcium carbonate and marl clay, were applied to floors and walls of selected rooms, and onto several throne platforms within the King�s Palace. Cross section of a yellowish-greyish white mortar with upper thin clay and white wash layer used to set and plaster stones of a bathroom basin (iMalqata Blog | February 16, 2015). 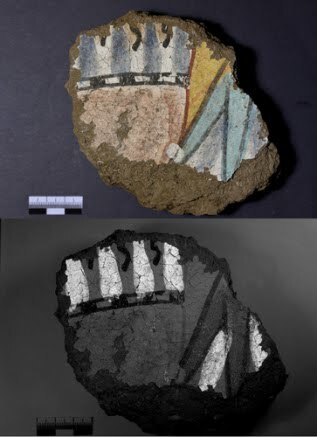 Below, the cross section of a dark brown clay plaster fragment with white and Egyptian blue paint layers from a ceiling of the King�s Palace. The most elaborate treatment was given to apparently more significant throne platforms and sections of floor within the palace. In these places, a fine layer of pure lime plaster covers the visible surfaces of the clay-plastered mud brick superstructure. 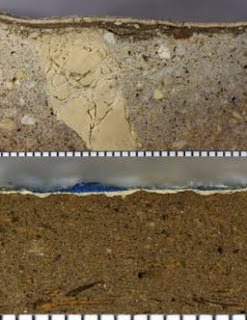 This plaster type is much more stable than clay plaster as it cannot be dissolved in water. 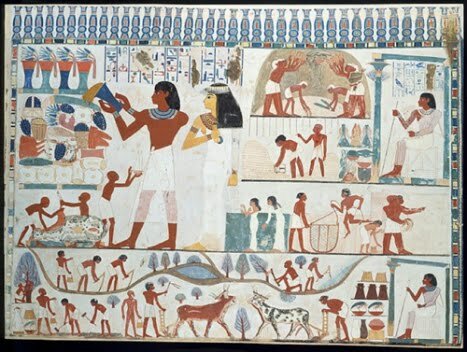 In terms of wall painting technology, the polychrome wall and ceiling paintings of the King�s Palace were created directly on a smoothed clay plaster surface, without the overall interlaying of fine white wash or paint layer that we see in the painted tombs of the Theban necropolis. Aside from this, traditional construction methods were used in the composition of the paintings on the walls and ceilings of the palace as seen in the photograph below. Wall painting fragments from the King�s Palace showing lines and drips from a cord string soaked in red color, and traces of red outline drawings that preceded the polychrome paint application. The color spectrum includes a differentiated use of varying blue and green colors that could be investigated further by visible-induced luminescence (VIL)-imaging (See VERRI, G. (2008): The use and distribution of Egyptian blue: a study by visible-induced luminescence imaging. In: Uprichard, K and Middleton, A, (eds.) The Nebamun wall paintings: conservation, scientific analysis and display at the British Museum. (41 � 50). Archetype: London) Egyptian blue emits a bright luminescence that lies in the infrared range when it is excited by visible fluorescent light. With an infrared-sensitive digital camera, this luminescence can be photographed. A special filter applied in front of the camera lens captures the IR-radiation, but blocks out all visible light. Using this technique, the tiniest traces of Egyptian blue that are not noticeable in visible light can be shown in the digital VIL-image. 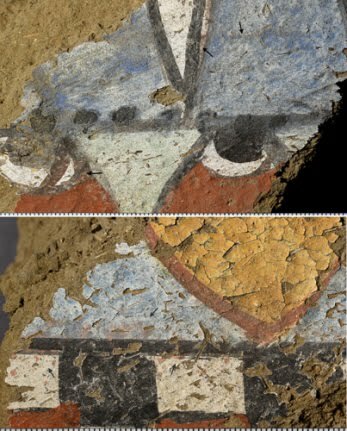 In case of the Malqata paintings, the multi spectral imaging method helped to determine that the early synthetic pigment Egyptian blue was used not only in its pure form. Apparently, to achieve brighter bluish green color shades, it was also mixed with Egyptian green and a natural green earth pigment containing glauconite. The latter is a pigment production technique that continued into Roman times. Wall painting fragment from palace room K1 photographed in visible light and with visible-induced luminescence imaging (levels increased). The outlines of the pure Egyptian blue color application (reduced due to pigment loss) are clearly legible in the VIL image. The bright shining dots in the bluish-green colored paint of the lotus flower show the luminescent pigment grains of Egyptian blue in mixture with Egyptian green. Detail of a spiral from a ceiling plaster fragment, visible and VIL-image (levels increased); the green colored center of the spiral was painted with a natural green earth pigment containing glauconite. The bright luminescence of pigment grains within the green paint shows the additional intermixture of Egyptian blue. When David P. Silverman translated mystical writings on the side of a 4,000-year-old Egyptian coffin recently, he discovered a plea to the earth god, Geb. The long-ago writer sought protection for the coffin's inhabitant, a district governor named Ahanakht. But these days, the words could just as easily mean protection from the trembling earth next door. University City is the site of yet another construction project. This time, it's the demolition of the Hospital of the University of Pennsylvania's Penn Tower complex, in order to make way for a new patient pavilion. Good for medicine, presumably, but potentially problematic for the tower's next-door neighbor: Penn's Museum of Archaeology and Anthropology and its vast collection of artifacts. Curators are in the midst of a yearlong effort to examine, stabilize, and move thousands of objects to safety, lest they fall victim to the vibrations from jackhammers and other machinery. One day this week, staffers placed the pieces of Ahanakht's cedar coffin onto Styrofoam supports that were evenly spaced on a wooden pallet, in preparation for the move to an undisclosed storage space off-site. Sitting nearby, conservator Alexis North carefully reattached loose paint on a 4,000-year-old wooden boat model so that it, too, could be moved safely. Preparations began last spring, when the museum installed vibration sensors throughout the sprawling burgundy-brick complex on South Street, with guidance from Columbia University civil engineering professor Andrew W. Smyth. The threshold of concern varies by location, but generally the sensors are set to send out alerts if vibrations exceed 2 millimeters per second. Problems could arise from one single large impact at the construction site next door, or even from low-level sustained rumbling, Smyth said. "You can have situations where objects can walk around on shelves," Smyth said. So far, no artifacts have suffered harm, even as workers have dismantled a parking garage behind the hospital tower, said Robert Thurlow, the museum's special projects coordinator and project leader. Vibrations appeared excessive on several occasions, so construction was temporarily halted to make sure nothing was amiss, he said. Patrick Dorris, Penn Medicine's associate vice president for real estate, design, and construction, said he was happy to cooperate. "If something has to stop, we'll stop it," Dorris said. Head conservator Lynn Grant, Thurlow, and other museum officials determined that they would need to move 50,000 artifacts for the duration - 45,000 from Egypt, the rest of Asian origin. Most are going to the off-site storage spot, though some will be relocated to safer places within the museum, farther from the walls adjacent to the hospital construction site. In some cases, exhibit supports have been rebuilt or replaced. Where necessary, cantilevered shelves made of glass have been exchanged for others made of wood or acrylic, which are less vulnerable to vibrations. Workers also placed a layer of shock-absorbent material beneath a set of glazed ceramic horses from China's Tang Dynasty. Conservators now are examining a pair of 16-foot-high Buddhist murals to prepare for their move in June. The move is giving curators a chance to tidy up inventories, and in some cases to gaze upon objects for the first time since archaeologists brought them to Philadelphia from distant lands. Silverman, the curator-in-charge for the museum's Egyptian section, recently came across a scarab - a beetle-shaped stone from more than 3,000 years ago. On its underside was written a spell for becoming a phoenix in the afterlife. It is one of only four such examples in the world, he said. Asked what the big move will cost, museum officials were a bit cagey. "You can never really know because there are so many unknowns with it," Thurlow said. But surely there is a budget? "More than you'd think," said Grant, the head conservator. "And perhaps less than we might need." 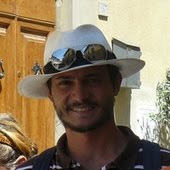 Simon Thuault has a contract as a doctoral researcher at the Université Paul-Valéry Montpellier 3. The Conversation is funded by Albany, Binghamton, Boston U, U of California, Case Western Reserve, Florida, Georgia State, UMass Amherst, Michigan, Michigan State, Ohio State, Penn State, Rutgers Newark, South Florida, SUNY ESF, Texas A&M, UT Austin, Tufts, Vanderbilt. Our global publishing platform is funded by Commonwealth Bank of Australia. Since Napoleon's expedition to Egypt (1798-1801), Western interest in the country – and especially its ancient history – has never waned. 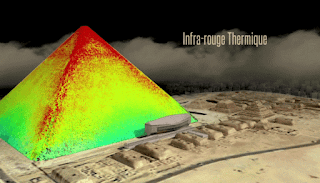 Recent evidence includes the exhibition Osiris: Egypt's Sunken mysteries, which has already attracted more than 200,000 visitors to the Institut du Monde Arabe in Paris. 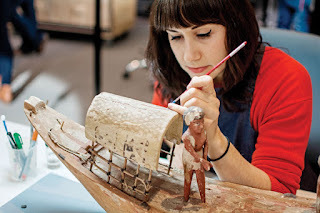 The British Museum's fresh presentation of eight of the mummies in its collection – Ancient Lives, New Discoveries – attracted similar numbers throughout 2014 and 2015. Meanwhile, the Met Museum in New York has just wrapped up the first major exhibition to cover the Middle Kingdom period extensively. In Egypt, it's an entirely different story. Despite its exceptional cultural heritage, the country has been having a hard time attracting visitors since the 2011 revolution that brought down the former president Hosni Mubarak. Much of the blame can be placed on a series of terrorist attacks, including the October 31 bombing of a Russian airliner. Foreign ministries of a number of major Western countries now discourage their citizens from visiting parts of Egypt. In an attempt to revive Egypt's crucial tourism industry, its government has launched a series of sensational projects. The minister of antiquities, Mamdouh Eldamaty, is omnipresent in the media, and often appears at projects accompanied by domestic and international Egyptologists. The most highly publicised event was the radar study of King Tutankhamun's tomb in the Valley of the Kings. The analyses prompted the minister to say they were "90% sure" that there were hidden chambers, reviving fantasies around the tomb of the young king that was discovered in 1922 by Howard Carter. This passion for Egypt, sometimes close to mysticism, is illustrated by the excitement generated by the ScanPyramids project. Through high-definition scans of several pyramids (Khufu and Khafre on the Giza Plateau, and the Bent Pyramid in the Dahshur burial complex), the hope is to discover possibly unknown rooms, or to understand – finally – how these stone giants were built. 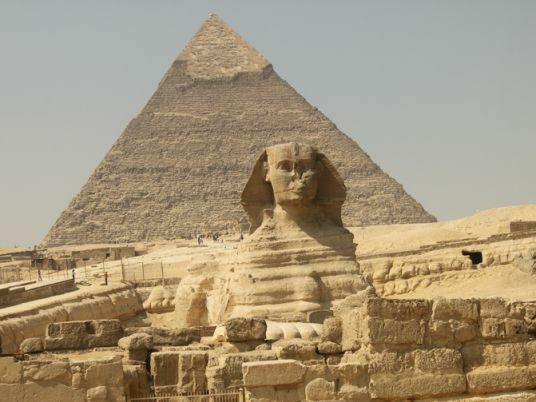 Other large-scale projects are also underway, designed to allow Egypt to show off its archaeological riches. 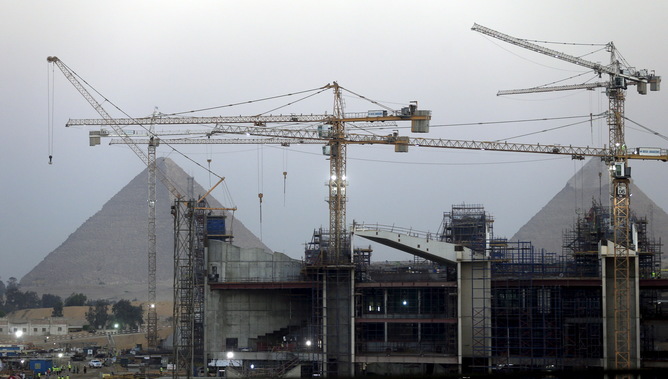 In Cairo, two ultramodern museums are scheduled to open their doors in the near future: the long-delayed Grand Egyptian Museum and the National Museum of Egyptian Civilisation (NMEC). Together, the two will offer 150,000m2 of space, housing nearly 200,000 objects under optimal storage conditions, and feature conference rooms, theatres, and more. 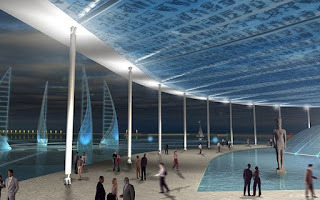 The government also announced recently that it will revive the construction of the Alexandria Underwater Museum. Once built, the museum will allow visitors to see the submerged ruins of the city's Quait Bey Citadel and its ancient lighthouse, the Pharos. Like other countries during the Arab Spring, Egypt's cultural heritage suffered in the chaotic wake of the 2011 revolution. During this time, more than 1,000 items were stolen from the Mallawi Museum and illegal excavations also took place. But these incidents remained limited and the majority of Egyptians were aware of the need to protect and enhance the country's archaeological heritage. One of the most striking examples was everyday Egyptians forming a human chain around the Cairo Museum to protect it from looters in 2011. More recently, a growing number of books on Egypt's ancient history are being published in Arabic to encourage citizens to take an interest in and reclaim their rich history. An Egyptian friend recently told me that one indication that his countrymen were becoming more interested in their ancient heritage was almost daily media appearances of the minister of antiquities and other major local personalities in the field of Egyptology, such as Khaled el-Enany, director of the Cairo Museum and the NMEC. The projects currently being developed and their impact on the daily lives of Egyptians are being closely watched, raising both hope and suspicion. The country's worrying economic situation, the rise of religious fundamentalism, and political rifts all create an anxious atmosphere that Egyptians hope will have begun to subside once these prestigious projects are completed – even amid a certain mistrust about their eye-popping costs during a difficult economic period. Al-Hussein Abdel Baseer, the general director of the Giza Pyramids archaeological area, said approximately 26,800 Egyptian and foreign visitors came to visit the area on Friday and Saturday, which coincides with the beginning of the mid-year school vacation and the improvement in the weather. Speaking to state-run news agency MENA on Sunday, Abdel Baseer said 12,251 Egyptians and 780 tourists visited the area on Friday, whereas 12,535 Egyptians and 1,243 tourists visited on Saturday. Meanwhile, the area's media center said the visitors started to arrive at 8 am and people continued to stream in until 4 pm. 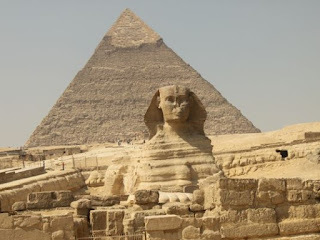 They visited the pyramids of Kheops and Menkaure, the Sphinx, as well as the tombs that were open to the public. There was also a large number of inspectors and tourism police on hand to assist visitors with their inquiries. When Hesham Farghali speaks of the Nile Museum in Aswan, which opened on 10 January, he tends to be effusive. "Imagine a boat sailing down the Nile and going through each of the countries it passes through from south to north. People are getting off the boat to buy souvenirs from each of the countries they pass through until they reach the Aswan High Dam. They get off there and compare all the things they have collected," Farghali said, indicating something of the range of items the new museum offers. 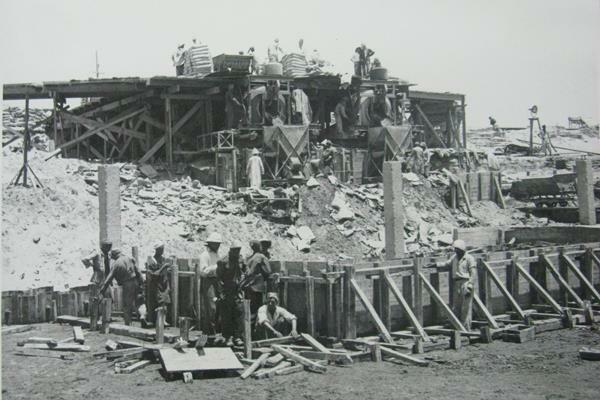 Back in 2004, when construction of the museum first began, the museum was to be dedicated to the Aswan Dam and the Aswan High Dam. But by August 2014, when Farghali became director of the museum, the focus of the museum had shifted. 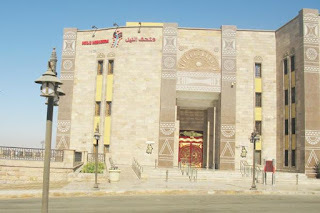 A decision was taken to dedicate the new museum to friendship with all the Nile River countries. 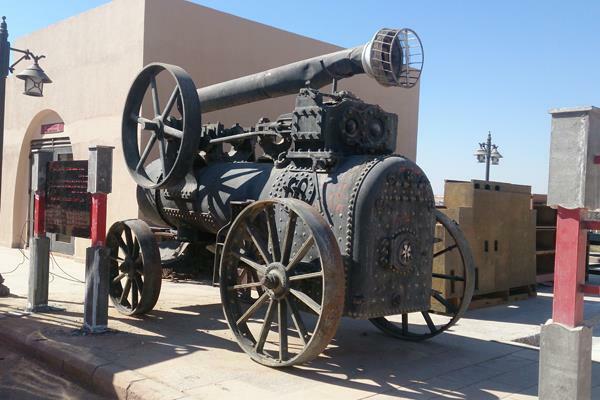 "When Irrigation Minister Hossam Maghazi came to visit us in Aswan, we discussed the large size of the museum, at 46,000 square metres. The country was greatly interested in forging closer ties with the African countries," Farghali said. "And so I proposed that the museum be called the Nile Valley Museum, later shortened to the Nile Museum." Shortly after the minister's visit, a consultancy office in Cairo was commissioned to come up with a design, and work on the museum started on 24 December 2014. Farghali had been dreaming of creating a museum dedicated to the Nile Valley, and the new Nile Museum has made his dreams come true. The museum, located on a promontory on the east side of the Aswan Dam, is run by the Ministry of Irrigation. 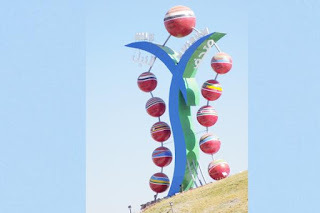 "We set up flag masts for the flags of all the Nile Valley countries at the entrance to the new museum," Farghali said. 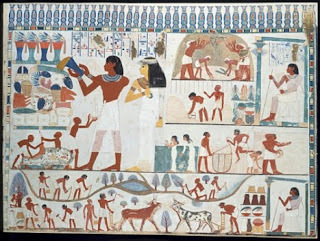 To stress the idea of Nile Valley ties, the museum also commissioned a special piece of site-specific artwork to display just outside the entrance. This consists of eleven balls shaped like water drops and bearing the names of all the Nile Valley countries. The museum has three large exhibition halls. After entering its extensive grounds, visitors pass through a palm tree oasis and a large model of the museum, showing its main buildings, visitor centre and other facilities. According to Farghali, part of the museum's grounds will be offered to private investors to create a motel, a business centre, restaurants and an open-air theatre. To attract conference tourism, a large auditorium is also planned. Aswan was once a major international conference centre, Farghali said. "President Anwar Al-Sadat used to come to Aswan in the winter to meet Arab and foreign leaders. His visits stimulated business in the city. 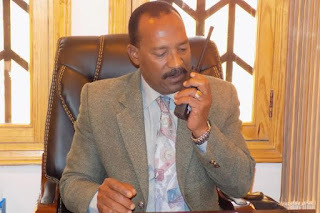 I wanted a new conference facility to be part of the project to build on Aswan's reputation as the perfect place to host international conferences," he said. Also in the museum grounds is a section honouring the ancient Egyptian Nile deity Hapi. Six statues representing the god are arranged adjacent to the palm tree oasis. Nearby is a water feature symbolising the course of the Nile, from its source to the Nile Delta. Inside a fountain there is a map showing the eleven Nile Valley nations, with Hapi offering his protection. 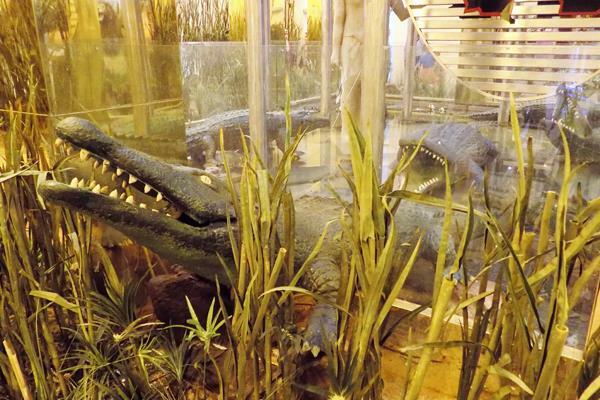 The composition is enhanced by images of crocodiles and other river creatures. Then there is a walkway surrounded by displays of giraffes, elephants and lions, as well as projections showing films about African landscapes. A hall named the Nile Bride offers an account of the myth of the sacrifice of a beautiful girl to the Nile during the flood season in ancient times. 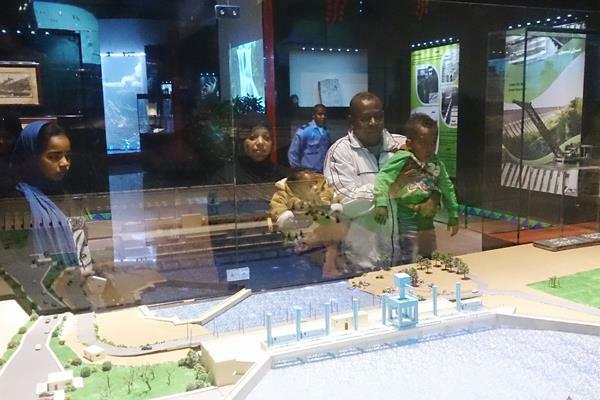 In one of the wings of the new museum there is a large model of the High Dam surrounded by graphics illustrating various stages of its construction and visitors can hear recordings of the speeches of former president Gamal Abdel-Nasser. Another model shows the earlier Aswan Dam. In the Nile Valley Hall, visitors are treated to a diorama of the life and work of the first Egyptian minister of public works, Ali Pasha Mubarak, who came to office in 1869. Graphics illustrate some of the construction work completed under the aegis of this exceptional 19th-century minister. In another display, Irrigation Minister Hossam Maghazi can be seen explaining recent plans to reclaim 1.5 million feddans of desert land. Selected exhibits from South Sudan and Uganda are already on show in glass display cases, and more exhibits are expected to arrive soon from other upstream nations. In one room, rare land survey equipment from the time of the construction of the Aswan Dam is displayed. An extensive library designed to accommodate tens of thousands of books, as well as Internet and archiving facilities, has a beautiful terrace overlooking the lush grounds of the museum. From the library terrace, visitors can watch a diorama of traditional farming in Egypt, showing peasants going about their work and daily life and using the saqya (waterwheel), the tanbura (Archimedes screw) and shaduf (lever) for irrigation. 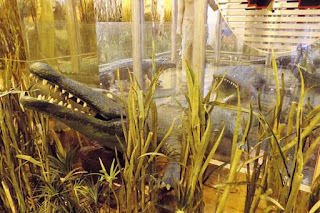 Two aquariums have been set up: one to display river fish and another for crocodiles. Children visiting the museum can use interactive touchscreens to learn more about the Nile, its inhabitants and African wildlife. Designers were commissioned to create two cartoon characters —Timo, a crocodile, and Firo, a hippopotamus — to interact with children on the touchscreens. "I hope relations between us and our African brothers will improve. This museum should serve as a family house where we can all meet and resolve our problems and exchange ideas and information," Farghali said. "Egypt is a land of peace, and it has never thought of harming others. We are not against development plans in Africa. 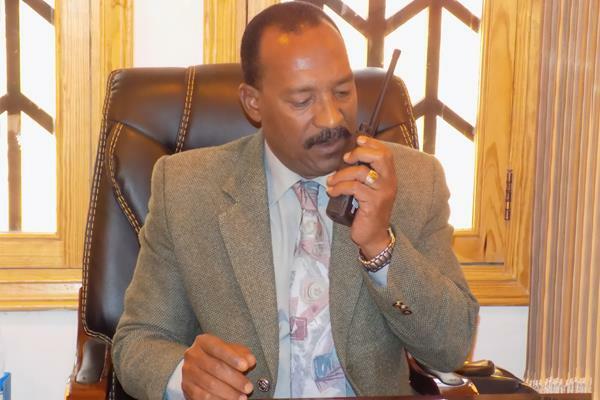 On the contrary, we support them," Farghali added. "We must preserve the water of the Nile and not pollute a river that belongs to all of us." Leaving the museum, visitors can read, emblazoned on its main gate, the words: "I have never polluted the Nile." This phrase, the words of an ancient Egyptian, expresses the message of this extraordinary new museum.